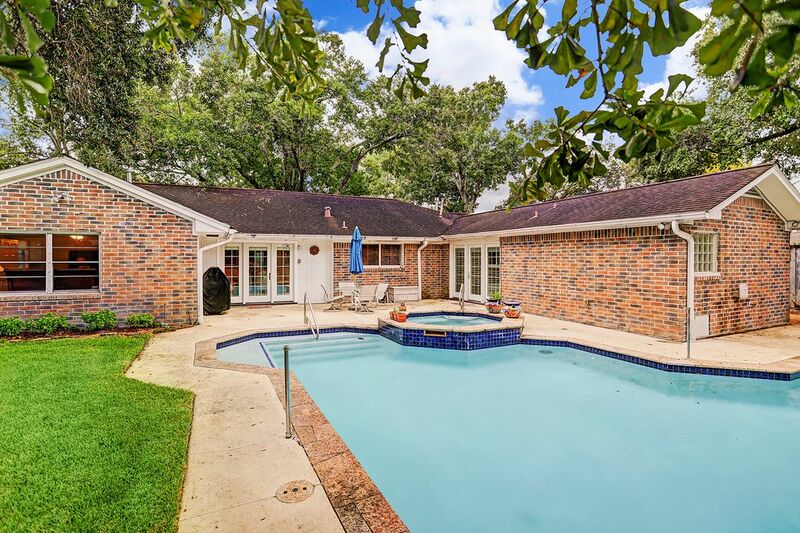 5126 Carew Street, Houston, TX 77096 | Martha Turner Sotheby's International Realty, Inc.
Beautiful brick home located in the northern section of Meyerland and in close proximity to the highly acclaimed neighborhood schools including Bellaire High School. There is lots of fun dining and dining nearby and quick access to the 610 West Loop. 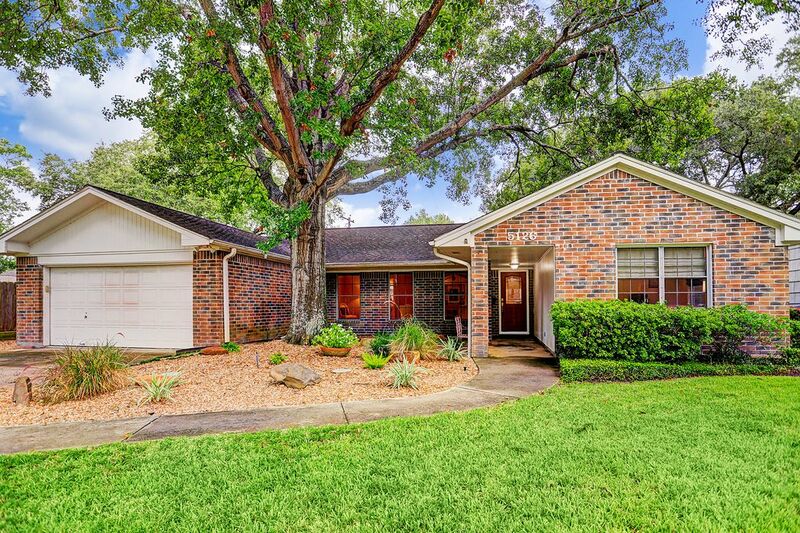 Attractive Texas landscaping and a covered porch welcome friends and family! 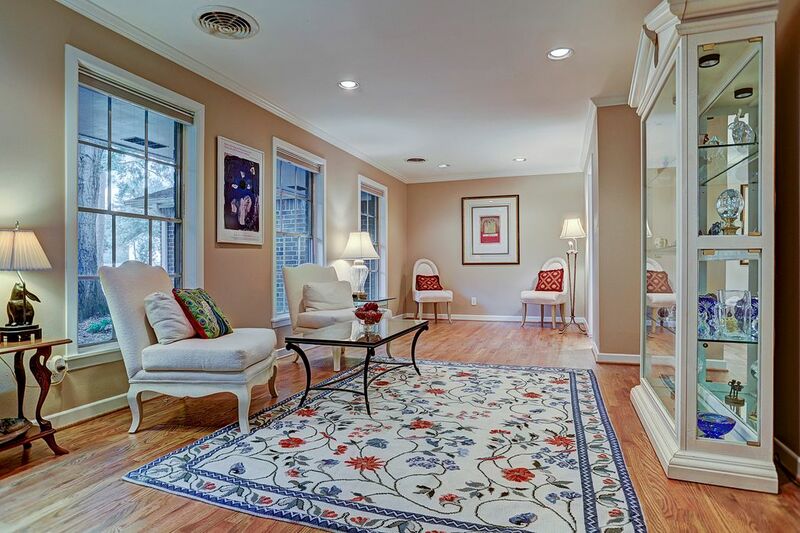 The front formal areas can be enjoyed in many way - what a fabulous music room it might be! Outstanding features include the large picture windows, recessed lighting and lustrous, recently installed solid red oak floors. 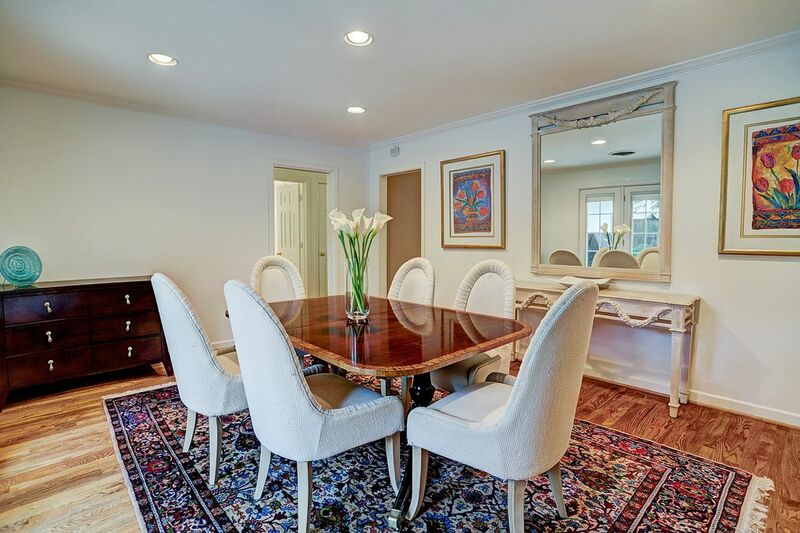 The gorgeous hardwoods flow into the formal dining room. How pleasing to enjoy dining with a view! The formal dining room with recessed lighting and Pella French doors overlooking the pool and landscaped back yard. 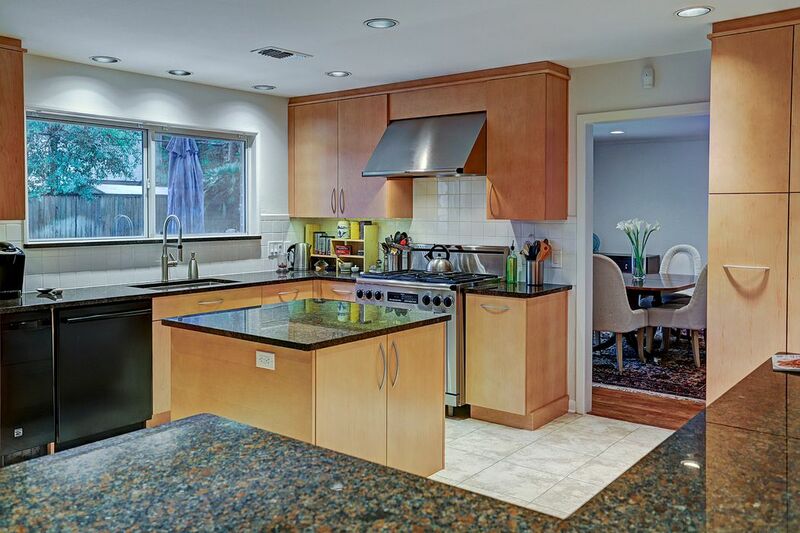 The kitchen is a cook's delight featuring expansive granite counters, center prep island, Dacor 6 burner gas range and oven with large vent hood. 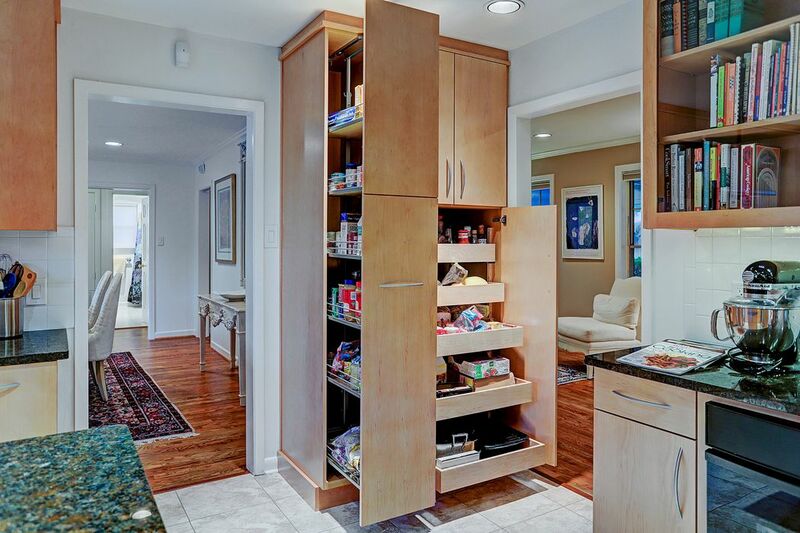 It's easy to stay organized in this pantry with pull out drawers and shelves! The bookshelves and storage along with the second oven and peninsula flowing to the den are on the left. Tucked away on a handy shelf is the microwave and next to the dishwasher is the ice maker. A very well equipped kitchen! 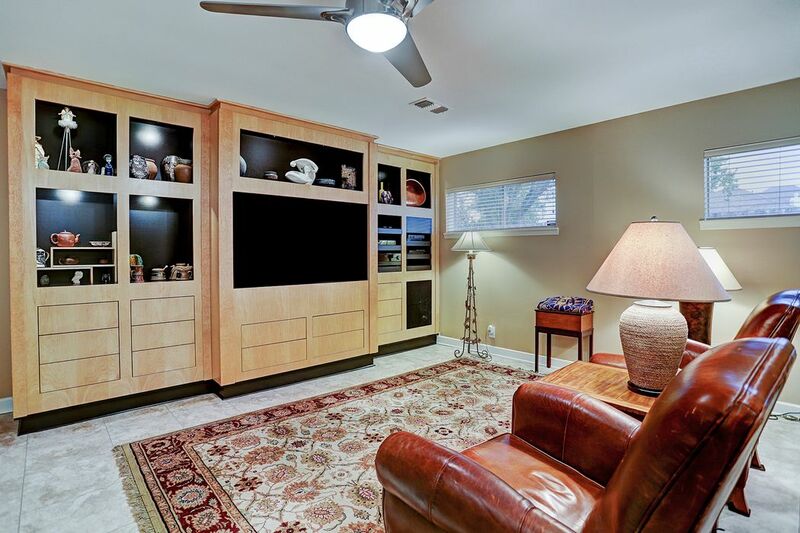 The den includes this beautifully designed custom built in with back lighting and a plasma television. The den as it connects to the kitchen with the peninsula and chairs to the right. 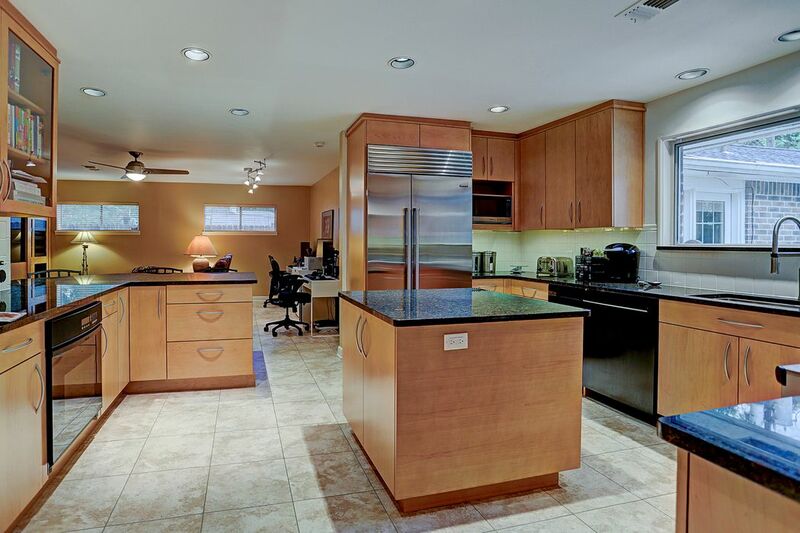 In the background the door to the left is the oversized laundry room and beyond that is the private master retreat. 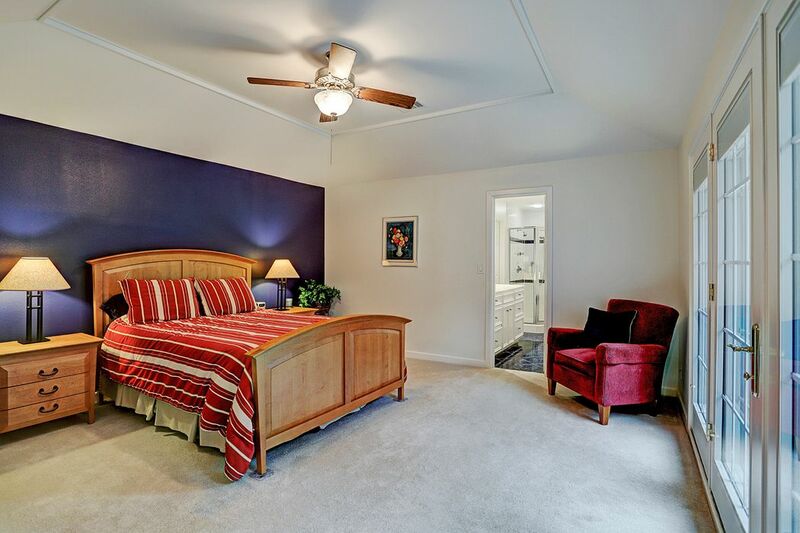 A raised ceiling and Pella French doors highlight the spacious master bedroom. This master bathroom sparkles! 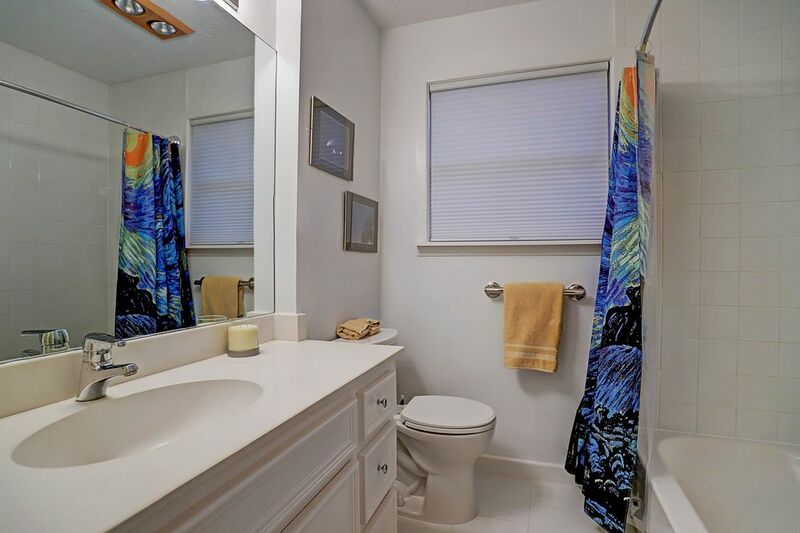 Dual vanities, additional storage, an oversized shower and whirlpool tub create an exceptional mast bath. 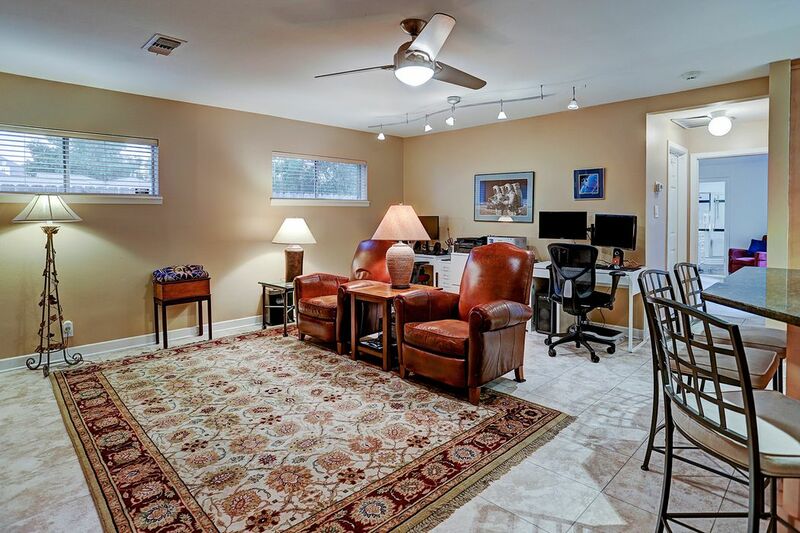 This was the original master and includes windows with east and north exposure, a larger closet and an en suite bathroom. The special room serves as a fabulous guest room or bedroom for any lucky family member! 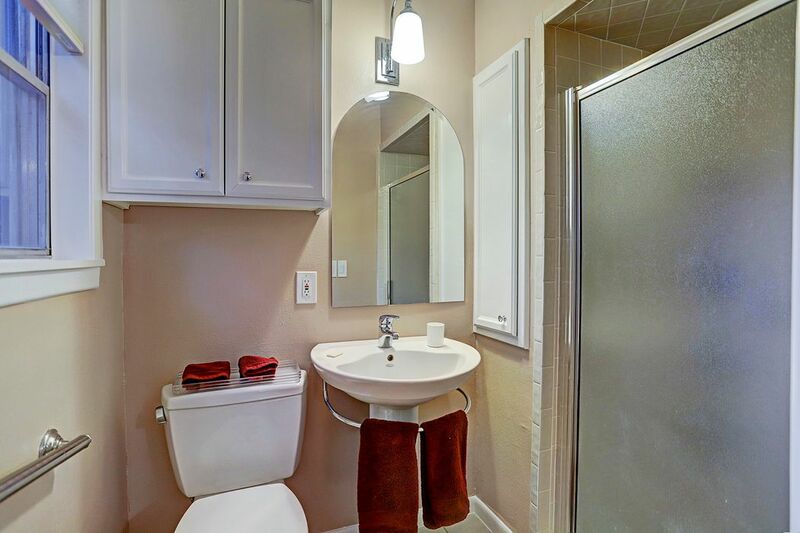 This charming ensuite bathroom has been updated with a pedastal sink, pull out shelving. It is quite charming! 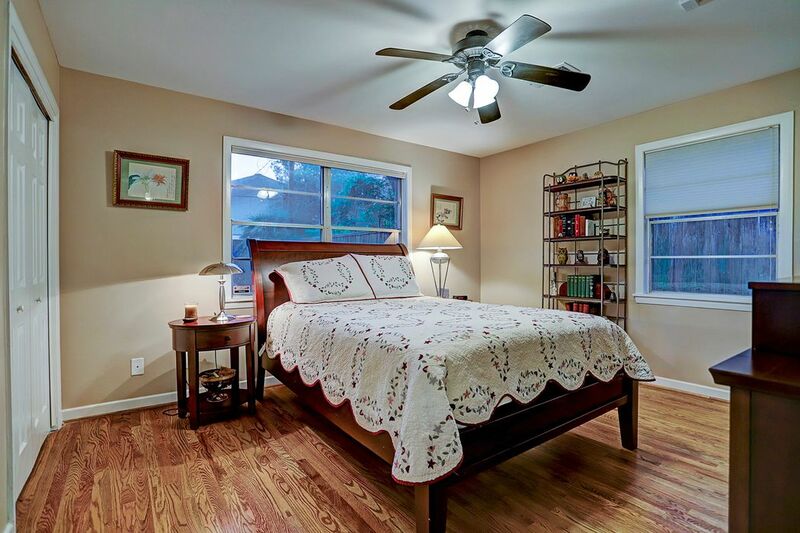 Secondary bedroom with the beautiful hardwoods and large windows offering east and south exposure. Hall bath glistens with fresh white counters, floors and tub surround. A secondary bedroom being used as a sitting room. These floors are outstanding! Whether it is time to relax or bring the party outside this backyard oasis is ready. The pool includes a spa area and poles are in place for a friendly game of volley ball. Lots of grassy area for a garden, kids and pets. 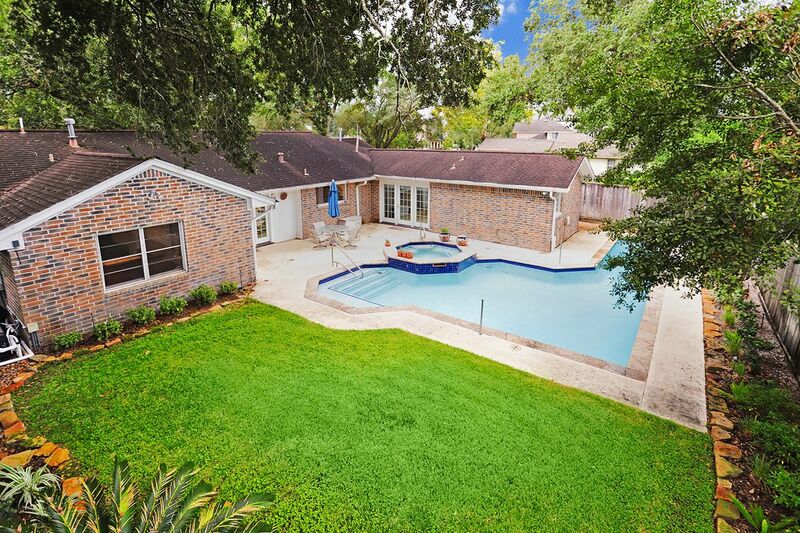 Yes, lots of green space remains in this spacious back yard. Beautiful landscaping frames the back yard. A full sprinkler system makes maintaining the grounds very easy. The setting is quite lush with all of the surrounding trees. $449,900 4 Bedrooms3 Full Baths2,502 sq. ft.
Move-in ready, this home has been lovingly maintained and beautifully updated by long time owners. 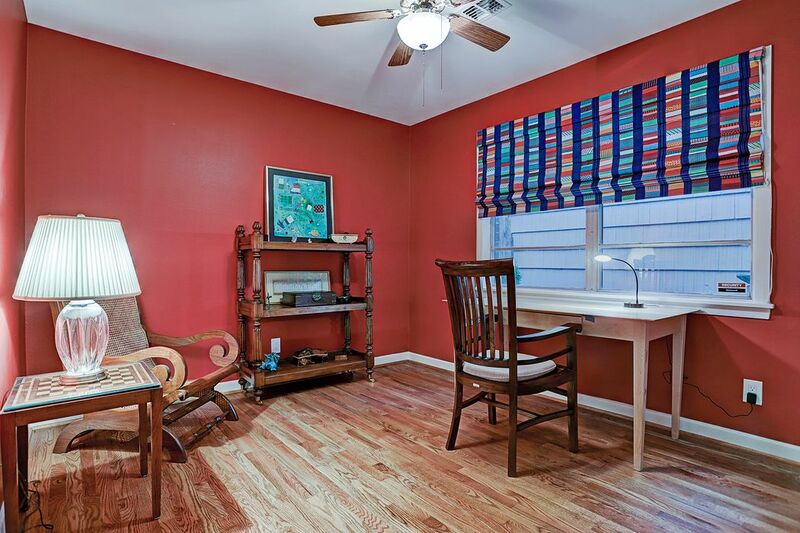 The red oak hardwood floors are gorgeous and flow through most of the home. 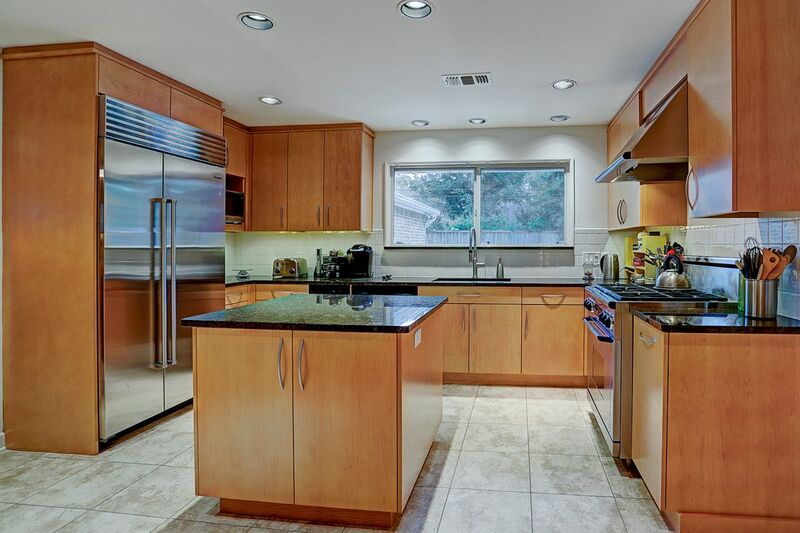 The kitchen is full of wonderful elements to enjoy such as the custom Brookhaven cabinets and full extension, soft close drawers, Dacor six-burner range, built-in Sub-Zero, two ovens, pull out shelves in the pantry, granite counters and more. From the kitchen sink enjoy the delightful view of the heated pool and lovely gardens in the backyard. 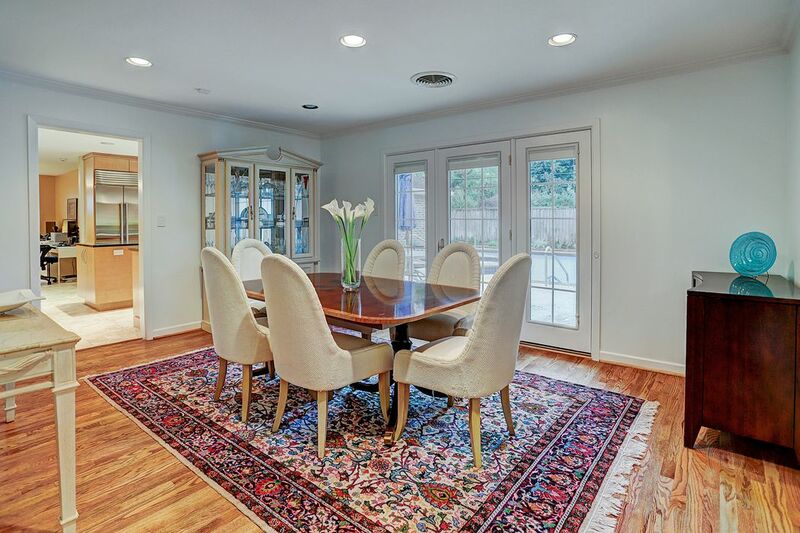 The formal dining room includes French doors overlooking pool and grounds too. 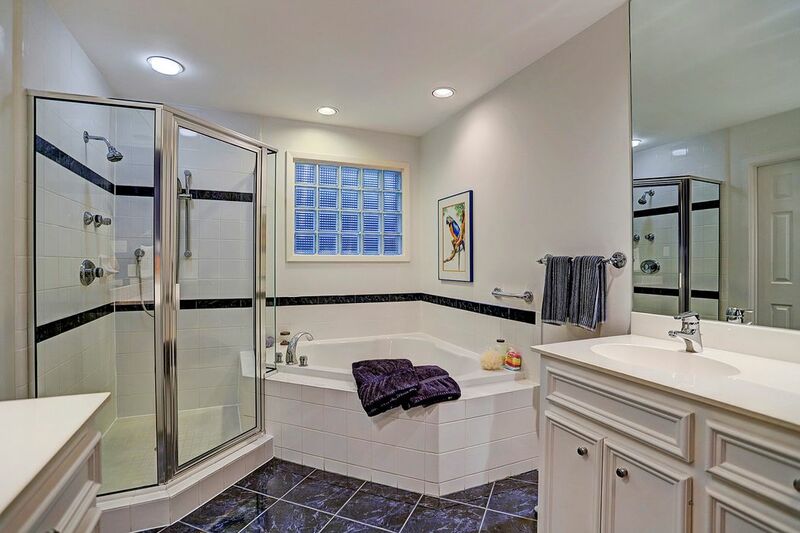 The master suite is an absolute retreat with French doors to the pool, a huge, walk-in closet and fabulous bath featuring double vanities, separate shower and a whirlpool tub. A built-in wall unit with lighting, display shelves and a plasma television highlight the spacious den. There is a secondary master with an en suite bath, two additional bedrooms and a sparkling white hall bath on the other wing of the home. 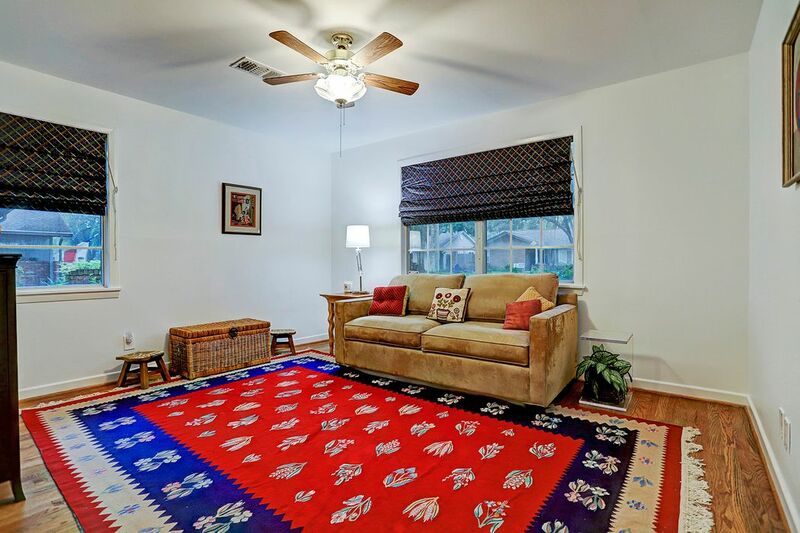 Additional features include a full yard sprinkler system, upgraded electrical items, top rated schools nearby, HEB is coming around the corner soon, easy access to 610 Loop and everything Houston. 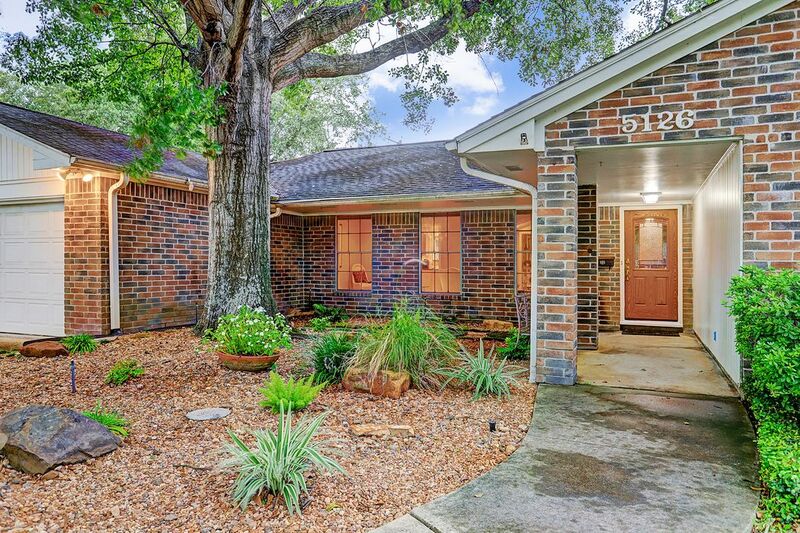 5126 Carew is a great home in a great neighborhood.